Finally, Steam is offering refunds! Oh joyous day. But actually, the new policy could cause more problems than it solves. Doubtless, Steam needs a refund policy. It’s a good thing to have in general, and especially on Steam, where tons of potential predators—in the form of faulty Early Access games and ample trash heaped on top of the service’s treasures—lie in wait. It could also be seen as Valve attempting to address criticisms of their sadly lacking customer service program. If nothing else, this automates things a bit. On the whole, this is good news! It’s Valve’s implementation of the system that provides cause for concern. Valve’s new refund policy has two main stipulations: you have to have purchased a game less than 14 days prior, and you can only have played it for two hours or less. The latter, especially, has people up in arms for a number of reasons. For some games—say, The Witcher 3 or GTA V or Clicker Heroes (why can’t I stoppppp)—two hours is just a drop in the bucket. But for others—smaller, more personal games along the lines of Proteus, Gone Home, and Papo & Yo or even bigger budget experiences like Metal Gear Solid V: Ground Zeroes and Portal—two hours can basically be the entire thing. So, in theory, someone could buy one of those games, play it to completion (or close enough), and then get a refund. Boom, free video game. For obvious reasons, that could hurt game creators pretty badly. Now, Valve has said they’ll monitor for abuse of the system and, if it seems like someone is taking advantage, begin denying refunds, but they don’t exactly have the best track record for, you know, anything concerning customer service. On top of that, developers of shorter games have taken this as a sign that they’re not entirely welcome on Steam, that 60 hour big budget romp-o-nanzas are the default, the standard by which all games on the service are judged. Nina Freeman, designer of brief, heartfelt experiences How Do You Do It, Freshman Year, and the upcoming Cibele agreed, adding that Steam kinda generally makes things tough for smaller games. However, Jack King-Spooner, creator of countless art games—recently released game about his hometown in Scotland, Beeswing, most prominent among them—views this as better than nothing at all. Which suggests that, yeah, in some cases small games don’t exactly thrive on Steam, and this refund policy probably won’t help. But between numerous challenges involved in getting your game’s name out there and an audience that’s sometimes outright hostile toward less traditional games, that particular problem is bigger than Valve alone. Kunzelman, however, saw one bright spot among all the gloomy gray. He noted that his game—atypical and immediately inscrutable as it is—got written off by a lot of more traditional sites, curators, and the like. As a result, the audience that’s sought out his game on Steam is composed only of people who really dig it. “We’re actually seeing a really interesting Steam space where it is becoming harder and harder to be discovered—and Steam hasn’t been great at fixing that—but that has also meant that there’s a place for subcultures to then sort of bloom or at least exist in some kind of way,” he explained. Small, enthusiastic communities sustaining games. It’s the Valve-merican dream as originally envisioned by Steam Greenlight... kinda. Maybe that’s a sign of things moving in a kinda good direction? At this point I’m not optimistic, but it sure would be nice. But the Steam refund issue goes beyond smaller personal games. As mentioned earlier, short games are becoming more common, even on the big budget side of things. There are episodic games like Telltale’s Walking Dead, Game of Thrones, and Tales from the Borderlands series or Dontnod’s Life Is Strange. Then there are brief yet potentially long-lasting experiences like Metal Gear Solid V: Ground Zeroes or Portal or Ubisoft’s artsier efforts like Valiant Hearts and Child of Light—not to mention short DLC episodes from, well, anyone. 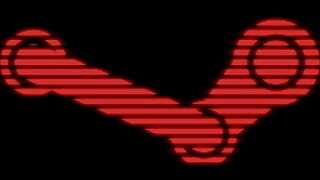 Will the idea of striking back at The Man over high prices or past infractions be appealing to some, enough of a reason to fashion Steam refunds into a weapon of justified vengeance? Certainly. Could it make big studios reconsider their stance on short, more immediately meaningful experiences and be harmful in the long run? Possibly. He also noted that Steam trading cards unlocked within the first couple hours of a game’s runtime can still be sold for profit, meaning that people could get both free games and (mostly) free money out of the deal. People have to own games in order to review them on Steam, so the logic works out. Will Valve safeguard against this loophole in their already not-exactly-ironclad defenses? Here’s hoping. I reached out to Valve for comment on these concerns, but as of writing they had yet to respond to my inquiries. Certainly, it’s a good thing that Valve has finally added a proper refund option to Steam. A very good thing. However, as is often the case with Valve, they appear to have paired their good intentions with worryingly little foresight. This is the sort of feature that people—some just trying to recoup the precious little money they have or hoping to righteously hit back at a big publisher who did them wrong, others looking for a new way to scam people outright—will pick apart like vultures. Once again, Valve stared into an unfeeling crystal ball of numbers. They didn’t really consider how this might affect people. Here’s hoping they address these potential problems soon. With this new system out in the wild, time is, quite literally, money.